It has been a long wait for Vic Pearsey to defend her title as four time oyster opening champion at the Bluff Oyster and Food Festival. Last year wild weather meant the competition had to be cancelled before she got the chance to try and make it five years in a row, but the festival’s new, permanent venue means she will definitely get the chance this weekend. As an oyster opener by day, she believed she was in the best position to practice for the event, but conceded it usually came down to who was best on the day. How Pearsey prepared herself for the event was simple. 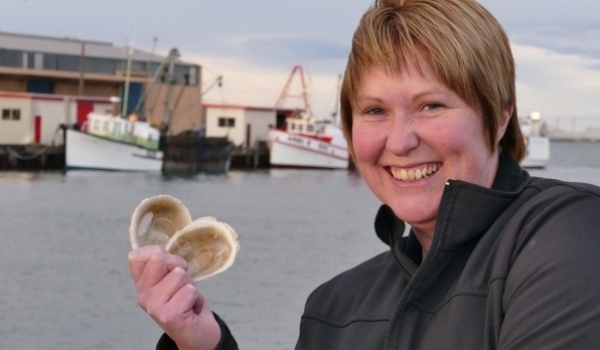 Pearsey found her love for oyster opening after she got a job at Barnes Wild Oysters. It was the only job she had not done at Barnes, so she asked to give it a go, she said. Now she is a full time oyster opener - the first female opener at Barnes Wild Oysters. But she insisted it did not give her an unfair advantage in the event, as most others opened oysters for a living too. Despite being around raw oysters every day, Pearsey prefers them cooked. Men’s titleholder, Jimmy Ryan-Thomas, is also keen to defend his crown. By winning in 2013, Ryan-Thomas ended the nine year reign of former champion Keith Lovett. Lovett accepted defeat and moved away from competing. He now assists organisers with the running of the oyster opening events. This year he achieved his goal of increasing the number of competitors to the event. Fourteen men, four women and three factories have entered the oyster opening event, and 10 people will compete in the blindfold races. The competition begins at 12.30pm on Saturday, and will be followed by the oyster eating races. Bluff publicity and promotions officer Lindsay Beer said a good number of entries for the men’s, ladies, blindfolded races and the factory relay had come in. “The oyster openers were readying themselves for competition last year when the weather hit so it has been two years since they last demonstrated their amazing skills on stage,” he said.